Any Lama I've studied with would say neither "yes" nor "no," but would like give you an answer that would make you re-think your question in the first place. My lama would probably say "Yes, but what's the point? How will it help you in your practice? Besides, unless you have the requisite foundation, you will not understand my secrets." 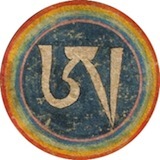 conebeckham wrote: Any Lama I've studied with would say neither "yes" nor "no," but would like give you an answer that would make you re-think your question in the first place. I think I will try it. Know of any Lamas that are easily accessible in the Washington D.C. area? Don't care if they are famous or have high attainments. Sherab wrote: My lama would probably say "Yes, but what's the point? How will it help you in your practice? Besides, unless you have the requisite foundation, you will not understand my secrets." I would say: I don't know how useful they are until I know what those secrets are. And I assume you don't know if I would understand until after you've told me. So, why not tell me something and we will see. Won't work, because my lama/guru reads my mind and even my future like a book. Yeah, that's the thing about the great masters. They see right through your shtick. Really? So he doesn't do something like I-Ching, tarot cards, or gaze through blurry images in fire, smoke. or crystal, in order to make ambiguous observations which could broadly apply to many people in many situations? Also, my question remains: Know of any Lamas that are easily accessible in the Washington D.C. area? Not including Jetsunma Akhon Llamo. She probably wouldn't be "easily accessible," anyway -- not to her own students. Individual wrote: Really? So he doesn't do something like I-Ching, tarot cards, or gaze through blurry images in fire, smoke. or crystal, in order to make ambiguous observations which could broadly apply to many people in many situations? What about using intoxicants or meditative trances or spirit-writing in order to make incoherent metaphors which require an elaborate and highly personalized interpretation? Nah, that's what I have to do when I read your posts in order to understand them! I'll try to find a Lama in the DC area...seriously. Shucks, you beat me to it. But seriously...why are some so accessible and others seemingly portray a 'hard to get' or 'now you see me, now you don't' image besides the busy schedule thingy? Don't misinterpret that, though. Tell me of a Lama near Washington D.C. and I still might go. plwk wrote: But seriously...why are some so accessible and others seemingly portray a 'hard to get' or 'now you see me, now you don't' image besides the busy schedule thingy? Because they're Hina-Lamas. Maha-Lamas don't live in caves or forest temples and broadcast their teachings by webcast and e-mail. Individual wrote: Because they're Hina-Lamas. Maha-Lamas don't live in caves or forest temples and broadcast their teachings by webcast and e-mail. You seem to really have a bone to pick with Vajrayana. Makes me wonder why you'd even be interested. What exactly do you mean by the term "obligations"? Do you mean samaya vows? Spending lots of time? Spending lots of money? If you want to avoid samaya, I don't think that's possible because that is part of the tradition of Tantric Buddhism. Sure, maybe you can find someone who is not really a lama who has "gone renegade" and will teach you things while avoiding many important traditions and prerequisites, but I don't think the outcome of learning from such a person would be very good. If you meant, the second two, then I think it's possible. Some lamas (especially it seems Nyingma lamas) will teach some very deep things right from the start. Many modern lamas are quite kind with regard to people's schedules and have weekend and one-week retreats and don't demand that people do one-month or many-month retreats. Individual, I understand your desire to do this, but please be polite to any lama you meet. You should not approach him like he's a completely ordinary man like the santa claus working at your local mall at Christmas time and say something like, "Give me the damn present already, ya fat SOB!" Treating a lama badly will produce a lot of negative karma for yourself. It's always important to be respectful to those who have dedicated their lives to the Three Jewels, even if you disagree with some of their ideas. Anyway, once I observed a teaching about a completion stage sadhana done from the Dzogchen point of view by mistake (It wasn't clear to me that I didn't have the necessary prerequisites beforehand), and far from being a great revelation of secrets, the teaching was quite meaningless to me. Advanced teachings won't be meaningful until you are truly ready for them. And even then, if you don't have the patience to wait to receive those teachings, then you probably won't have the patience to practice those advanced meditations consistently enough to get great results from them. Spending a week or even a month learning Tummo won't instantly turn you into a Buddha. A lot of work is still required. If you want a great and powerful teaching which is readily available and which doesn't require a long retreat, I would recommend attending a Nyungne sometime. Perhaps you might still say, "Well, that's still not the very highest type of meditation," but I would say that Nyungne is plenty "high-enough" for an ordinary person. Nyungne is a truly Tantric Buddhist meditation which produces great benefits in a short amount of time. Of course, one Nyungne requires over 24 hours of total fasting from food and water, but if you don't have the resolve to even do that, then you shouldn't even be messing around with the path of the yogi to begin with. Everybody wants something for nothing, but that's never how life works. Great results require great causes, or as economists say, "There ain't no such thing as a free lunch." Sometimes a small lie is good for you benefit. But as you are open minded prefer the honest. There are no actual secrets. The highest teaching is ultimate compassion - compassion for all beings everywhere all the time and ultimate wisdom - which is that all beings are Buddhas (although putting this in words is slippery) - and the inseparability of ultimate wisdom and compassion. The only reason we don't see it is because our minds are obscured by delusion. All of Tibetan Buddhism without exception is medicine to address our sickness of the lack of compassion and/or the lack of wisdom and to attain Buddhahood very quickly so that we don't have to spend 3 eons accumulating wisdom and merit in order to attain Buddhahood (it's true that most of these methods are secret but they are all just trainings in wisdom and compassion). The lamas tell us all this on Day 1 (at least the compassion part). The secrecy part is to help us from misunderstanding the details of the teachings and from misusing the teachings. And we all invariably go back to our karmically induced patterns guaranteed to produced more suffering and delusion for ourself and others. As for obligations - there are always obligations - you always have the obligation to help create a real Buddha realm (help others), you always have the obligation to reduce your delusion and to deeper your compassion and wisdom. As for lamas in the DC area: there is Khenpo Kalsang Gyaltsen at Sakya Phuntsok Ling in Silver Spring (there is also a visiting Khenpo there now) (http://www.sakyatemple.org/spl/" onclick="window.open(this.href);return false;) and Khenchen Tsewang Gyatso will be visiting the Palyul center in Old Town Alexandria from Thanksgiving until 1 Dec (http://usa.palyul.org/sched-ktgr.html" onclick="window.open(this.href);return false;). There are also the Drikung Lamas out in Frederick, MD (http://www.drikungtmc.org/" onclick="window.open(this.href);return false;) who sometimes also have events/teachings closer in toward DC. Samaya vows and money, yes. I am already a slave to my own mind. I would gain nothing from being a slave to someone else. As for time, not yes or no. I would be willing to spend my time voluntarily, not as a requirement. Luke wrote: Individual, I understand your desire to do this, but please be polite to any lama you meet. You should not approach him like he's a completely ordinary man like the santa claus working at your local mall at Christmas time and say something like, "Give me the damn present already, ya fat SOB!" Treating a lama badly will produce a lot of negative karma for yourself. It's always important to be respectful to those who have dedicated their lives to the Three Jewels, even if you disagree with some of their ideas. If that is true, it seems to me that is the secret. If anybody including Tibetan Buddhists knew it, they would not take their Lamas and esoteric practices seriously. Not taking them as seriously, there would be no gain.